It converts Coaxial or Toslink digital audio signals to analog L/R RCA and 3.5mm Jack audio. 1. 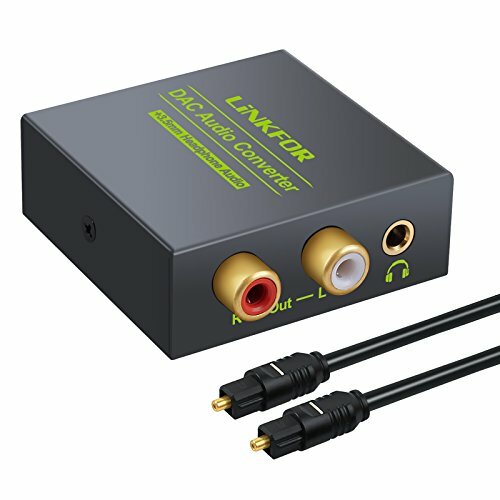 This DAC supports digital PCM or LPCM audio format, Please kindly set your digital audio device such as TV, TV BOX, or game console into PCM or LPCM audio before using, NOT support DTS ,Dolby AC3. Setting Path：Device Homepage -- System Setting -- Image and Sound -- Voice Setting -- Digital Audio Output -- PCM/LPCM. 2. If there is still no sound even after your TV is set to PCM/ LPCM Audio Format, please turn on the external speakers of your TV (It may happen to Samsung TV etc), or test the DAC by connecting PS3, Xbox. Setting Path:Menu -- Sound -- Speaker Settings -- External Speakers -- ON. 3. If the volume (from DAC output) is not loud enough, please connect the output of DAC with low-impedance cellphone headset, headphone amplifier, or power amplifier.